The additions of David Price and Craig Kimbrel will be a crucial shot in the arm to a Red Sox team that flopped last season but has lots of promise for this year. This week, SI.com is previewing all 30 MLB teams for the 2016 season, counting down to the No. 1 team in the league. At No. 6: the Boston Red Sox. En route to their third last-place finish in four seasons, the Red Sox shook things up, bringing in former Expos/Marlins/Tigers general manager Dave Dombrowski as president of baseball operations, a move that resulted in the resignation of general manager Ben Cherington and, eventually, the promotion of Mike Hazen to GM. Over the winter, the new regime made two high-impact moves to shore up an underachieving pitching staff whose rotation and bullpen both ranked third-to-last in the AL in ERA: Signing David Price to a record-setting seven-year, $217 million deal and trading four prospects to the Padres for closer Craig Kimbrel. Along with those moves, Boston added setup man Carson Smith via trade, and the Sox will also get a full season of Eduardo Rodriguez, with youngsters such as Henry Owens and Brian Johnson pushing for spots in the rotation. All of that should make the team much better in run prevention. Hanley Ramirez and Pablo Sandoval, the two free agents whose shortcomings—summarized neatly in their combined -2.2 Wins Above Replacement, around nine wins short of what they provided their previous employers in 2014—played no small part in precipitating the regime change, can't help but be better than last year on both sides of the ball. Pulling Ramirez out of leftfield, where he was 19 runs below average, and moving him to first base can only help. The Sox can hope to get more than last year's total of 93 games from Dustin Pedroia, and the last lap for age-defying David Ortiz will be must-see given his penchant for rising to the occasion. The lineup is awash in young talent as well, including a trio of elite defenders in the outfield in Mookie Betts, Jackie Bradley Jr. and Rusney Castillo; 2015 breakout Xander Bogaerts at shortstop; and a promising catching tandem in Blake Swihart and Christian Vazquez (who could start in the minors as he returns from Tommy John surgery). Starters Rick Porcello and Joe Kelly are coming off dismal seasons, with ERAs near 5.00; the latter has been roasted for a 4.60 ERA and 4.31 FIP since arriving from St. Louis in July 2014. The range of outcomes for Clay Buchholz—from unhittable staff ace to tomato can to disabled list denizen—is almost limitless. Aside from Price, none of the rotation's candidates made 30 starts or threw more than 172 innings last year, and Rodriguez is already slated to start the year on the DL after dislocating his right kneecap in a fielding drill in late February. In other words, the team's considerable pitching depth will quickly be tested. Meanwhile, Castillo was a dud at the plate last year and still has to prove that he can hit breaking pitches and avoid mental errors on the basepaths. Bradley's breakout at the major league level amounts to one red-hot August (.354/.429/.734 in 91 plate appearances) propping up mediocre-or-worse stretches, some of them admittedly small in sample size. It's asking a lot to count on Ramirez to take to first base given the lack of zeal he's shown for previous position moves (though to be fair, the early reports have been good), and it's quite possible that neither he nor Sandoval will ever rebound to their All-Star caliber levels. Acquired in a December 2014 swap that sent Yoenis Cespedes to Detroit, the Red Sox liked Porcello—who was coming off what appeared to be a breakout season (3.43 ERA, 3.67 FIP, 4.0 WAR)—so much that they signed him to a four-year, $82.5 million extension for 2016–19 nearly a full year in advance. Expectations were high that he could build on his 2014 performance to provide the Sox with some semblance of frontline pitching in the absence of a true ace, but needless to say, things didn't go so well. 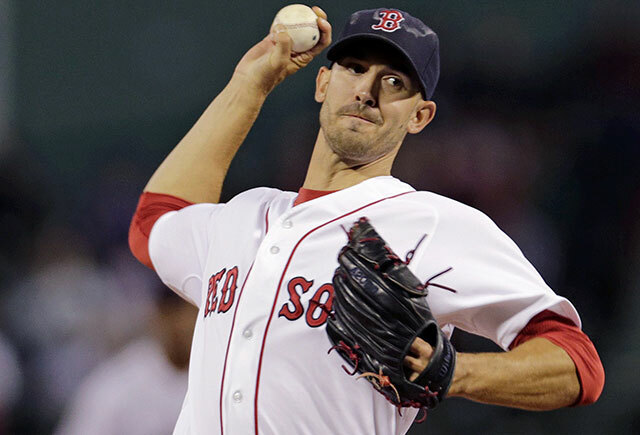 Though he posted the highest strikeout rate of his career (7.8 per nine), Porcello tied his career high with a 4.92 ERA and set a career high in home-run rate (1.3 per nine) as his ground-ball rate fell to a career-low 46%. While he pitched to a 3.14 ERA with 0.8 homers per nine and a ground-ball rate above 50% over his final eight starts after missing four weeks due to a triceps strain, his 0.6 WAR wound up as his worst showing since 2011. Underlying Porcello's woes to at least some extent were a whole lot of sinkers that didn't sink. Throwing his two-seamer 39.1% of the time, he allowed six homers and a gaudy .441 slugging percentage on the pitch, the latter mark up from .367 the year before. Meanwhile, his changeup, which he threw 10.6% of the time, was tattooed for six homers and a .611 slugging percentage, up from two homers and a .352 slugging percentage the year before. The Sox need Porcello to get back to pitching somewhere closer to his 2014 form, or they'll have another expensive dud on their hands. Hopefully, with a full spring with pitching coach Carl Willis (who replaced the fired Juan Nieves last May), he can build on his late-season run.